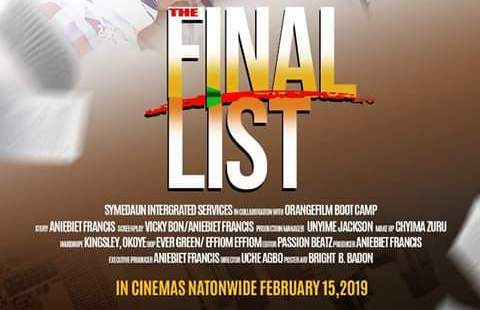 Home > Entertainment > Movie Trailer: #TheFinalList is set to hit cinemas nationwide. The long awaited movie THE FINAL LIST is set to hit cinemas nationwide, This blockbuster movie showcases the controversies around outrageous marriage rites, the dangers that come with it and many MORE. Date: 15th February, 2019. A must WATCH movie for everyone. UYO CHAIRMAN’S AIDE RESIGNS… SEE REASONS.